For such people, the heartache never seems to end. They always hurt; only the amount of pain varies. No, it isn’t fair at all, but it’s how life works. C’est la vie, as the French would say. Where Should we Look for Help? To our own power? That is limited. To our friends and love ones? They are broken, too. They are dealing with their own issues. To “experts”? No doubt, they have some answers. However, the only place to look for reliable answers to every challenge in life is God. When we acknowledge His power and authority, he sends peace and guidance to us immediately. We might not receive instant miracles, yet we are likely to receive enlightenment that will lead to eventual victories. Frankly, most success takes time and patience. Thy days may demand, so thy succor shall be. For I am they God and will still give thee aid. God, to thee, How great thou art! How great thou art! 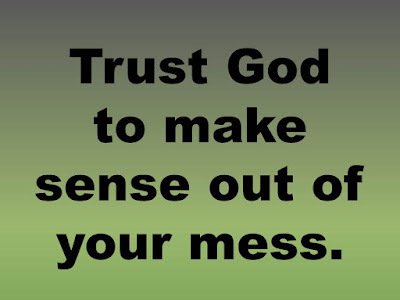 There’s only one place to turn when life makes no sense: God. He knows the reason for everything, and only He has the power to create miracles. God might not take away our pain, but He can help us through it.